If you haven’t been paying attention, or you want to make sure you know how to use all the new tools (or set your privacy settings properly to align with them), read on. Graph Search is probably the biggest thing to hit Facebook in the past year or so. It was unveiled before 2013 started, but only rolled out properly to most people in the new year. It has fundamentally changed how we search on Facebook and what sorts of results we find. Facebook makes recommendations for Graph Searches when you begin typing in the search field, so you don’t even have to understand it in order to make good use of it. However, if you want to know more, read about the most useful Facebook Graph Searches 6 Cool Things You Can Find With Facebook's New Graph Search Features [Weekly Facebook Tips] 6 Cool Things You Can Find With Facebook's New Graph Search Features [Weekly Facebook Tips] Facebook has just given its graph search another boost, and those who have been upgraded are now able to search post history as well as photo history. What is it good for? Read More you can perform, some crazy cool searches to try out Cool Things To Search For With Graph Search [Weekly Facebook Tips] Cool Things To Search For With Graph Search [Weekly Facebook Tips] Facebook Graph Search recently made a huge splash on the search scene, allowing all Facebook users to mine data that is either public or visible to them via their friends. The result is that regular... Read More , and how to set your privacy settings to decide what people see of you in Graph Search Prepare Your Account Privacy For Facebook Graph Search [Weekly Facebook Tips] Prepare Your Account Privacy For Facebook Graph Search [Weekly Facebook Tips] Every time Facebook releases a new feature to learn more about our friends, many people realise that their privacy settings are not adequate anymore. 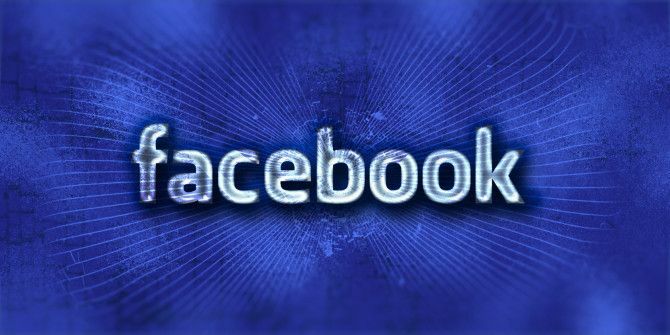 Their latest new feature, Facebook Graph Search, is no exception -... Read More results. Another way Facebook made people more public was in changes to teenager accounts Suddenly In The Spotlight: A Guide To Teenage Accounts [Weekly Facebook Tips] Suddenly In The Spotlight: A Guide To Teenage Accounts [Weekly Facebook Tips] Facebook recently decided to allow teens to share posts publicly and allow following. You might be wondering what the implications of this are. Here's what you need to know. Read More . Most importantly, teenagers can now choose to make public posts and to have followers. This is not recommended for most teenagers The Complete Teenager's Guide To Online Privacy [Weekly Facebook Tips] The Complete Teenager's Guide To Online Privacy [Weekly Facebook Tips] When it comes to giving teenagers advice about being online, many adults have no idea what to suggest in terms of protecting their privacy and making good choices about their public image. It's dangerous. Read More , however, it can have some uses for celebrity teens and teenagers trying to fundraise or raise awareness for a cause The Secrets To Running A Successful Charity On Facebook [Weekly Facebook Tips] The Secrets To Running A Successful Charity On Facebook [Weekly Facebook Tips] Facebook's new "Donate Now" button for charities is great, but not immediately useful for most charities. So, what else can a charity do to be successful on Facebook? Read More . 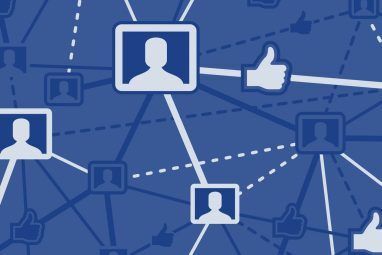 Facebook decided to make everyone searchable via Facebook Graph Search Letting People Find Your Timeline Is Actually Good For Privacy: Here's Why [Weekly Facebook Tips] Letting People Find Your Timeline Is Actually Good For Privacy: Here's Why [Weekly Facebook Tips] A recent move by Facebook to remove a prominent privacy option has been slammed by privacy advocates. However, it may be in your best interests as long as you know what to do about it. Read More . Do you see a theme here? After many years of deleted updates due to stupid typos, Facebook has finally decided to let us edit our posts Get Rid Of That Typo: Facebook Now Allows For Editing Status Updates Get Rid Of That Typo: Facebook Now Allows For Editing Status Updates The Web and Android versions of Facebook have been updated to include an "Edit" button for all of your status updates, allowing you to go back and fix any embarrassing typos. Read More . I can’t say this is monumental, but it certainly makes life easier. Another important change was the addition of nested comments, which finally made long comment threads easier to navigate and read through. A very recent move by Facebook was to automatically play video in your home feed, thankfully without sound. We speculated on how long it would take before video adverts were released Autoplay Ads on Facebook, The NSA Is Unconstitutional, Google Zeitgeist 2013 [Tech News Digest] Autoplay Ads on Facebook, The NSA Is Unconstitutional, Google Zeitgeist 2013 [Tech News Digest] Autoplay ads on Facebook, NSA phone surveillance "unconstitutional," Google Glass adds 'Wink' command, Samsung's Smartphone GamePad, Tomb Raider on iOS, Wunderlist suggests Christmas gifts, and 2013's top Google searches. Read More , with the announcement coming just the following week. No surprises there. Facebook to sell autoplay video ads in news feed. Personally I fear this could prove the final nail in the coffin for the social network. Facebook finally realised that photos and sharing of information were a key part of what makes Facebook worth visiting, and came up with shared photo albums How To Make A Shared Photo Album On Facebook [Weekly Facebook Tips] How To Make A Shared Photo Album On Facebook [Weekly Facebook Tips] After every great party these days there is an influx of photos on Facebook. Until recently, every Facebook user who turned up to the event with a camera would upload their photos to Facebook into... Read More . Now, when you go to a big event, you and all of your friends can upload photos to the same album, meaning they are all collected together and viewable by all of your friends of friends. The result is a much more popular album with better coverage of the event. Nancy noted in her article on important events that changed social media 5 Important Events That Changed Social Media This Year 5 Important Events That Changed Social Media This Year Many things happened in social media this year, but what were the real game-changers for the future? Read More that both Facebook and Twitter have decided to focus on mobile apps, rather than desktop and web access. However, it can’t be denied that Facebook’s official entry to the Windows 8 ecosystem The Best Windows 8 Facebook Apps Compared [Weekly Facebook Tips] The Best Windows 8 Facebook Apps Compared [Weekly Facebook Tips] It took Facebook a long time to release an official Windows 8 app, so it's not surprising that most Facebook users already have an app or ten. But which ones are worth keeping? And why? Read More was a huge step. For starters, Windows 8 looks a lot more appealing to many people now. If you’re running a Page on Facebook, you’ve probably thought about holding a competition at some point. Previously the rules were pretty strict and forced people to collect information outside of Facebook. These have relaxed quite a lot How To Run Facebook Competitions With The New Page Promotions Policy [Weekly Facebook Tips] How To Run Facebook Competitions With The New Page Promotions Policy [Weekly Facebook Tips] Non-technical Facebook Page owners can now breathe a sigh of relief. Facebook has finally changed their promotions guidelines so you no longer have to make apps in order to run competitions on your Facebook page.... Read More in 2013. You no longer need to have coding expertise and a database of email addresses to run a competition. You can run it all within Facebook. 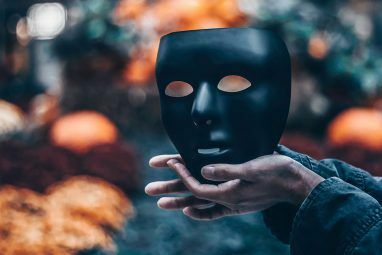 The dark side of Facebook was also revealed in 2013 with Shadow Profiles being proved to exist Facebook Shadow Profiles: You Probably Have One Too [Weekly Facebook Tips] Facebook Shadow Profiles: You Probably Have One Too [Weekly Facebook Tips] You think you're not on Facebook? Think again. Facebook no doubt has a shadow profile made just for you. 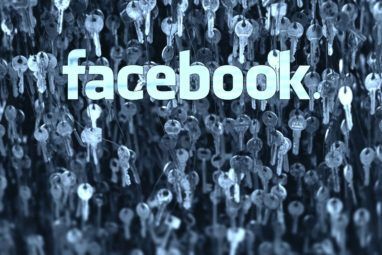 You may recall recently that Facebook found a bug exposing personal details of 6 million user... Read More . Yes, Facebook has collected a lot of information about you and your friends whether you approve of it or not. Scary. What do you think were the big changes in Facebook in the past year? It seems as though graph search still hasn't rolled out to me yet, so I haven't had a chance to see how good (or bad) it really is. Comment replies are good, but it only allows the thread to be one deep (much like here on MUO) so proper conversations in the comments are near impossible. Oh, I was certain it had rolled out to all English-speaking locales. Have you tried changing Facebook to US English? Yeah, one-deep threading is infinitely less resource-intensive than multiple levels deep. It makes a huge difference to page loading time apparently. You're right. I changed my language to "English (US)", and it appeared immediately. The rollout started in the UK in November, but I guess it isn't 100% complete yet. I guess that makes sense about multiple comment threads. When I was messing around with it, I had to try pretty hard to fetch all of the comments in the right order with just one query. And then you have to display them, and work out how many levels to display on particular screens before it becomes unreadable.